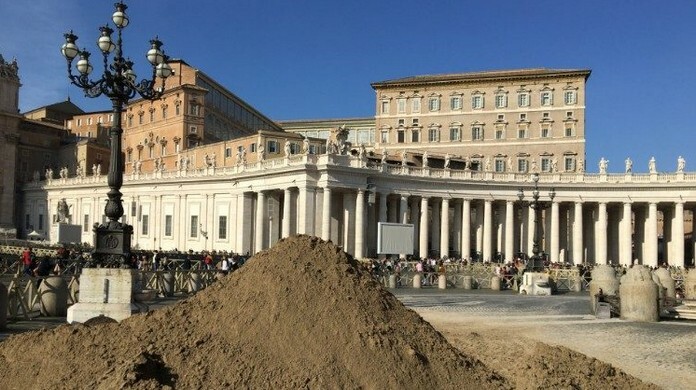 The Vatican unveiled its novel Nativity scene for Christmas in St. Peter’s Square (Rome) — sculpted completely out of sand for the first time. The scene depicting Joseph, Mary and the infant Jesus surrounded by angels, shepherds, animals and the Three Wise Men was made with over 700 tons of sand. 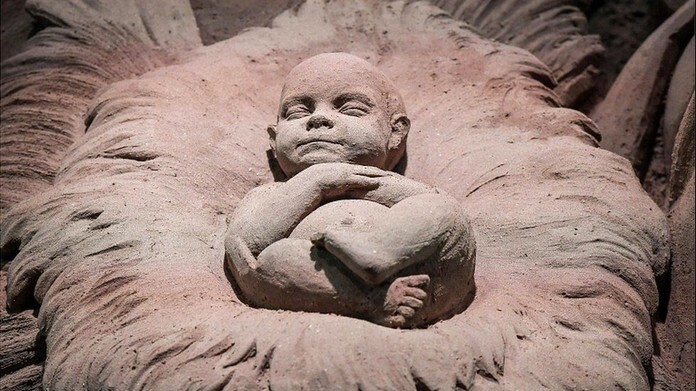 Three sand artists from Russia, Holland and the Czech Republic, working under the direction of Rich Varano, an American professional sand artist. The artists worked on site for weeks behind a screen to prevent people from seeing the scene before it was finished. 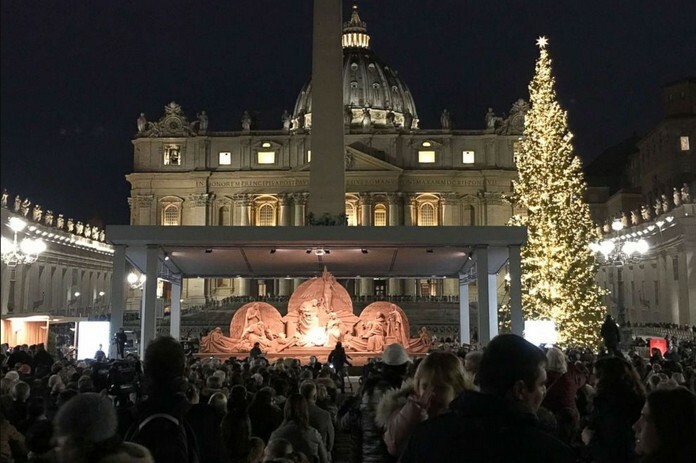 The Nativity scene is by the obelisk at the center of St. Peter’s square next to the decorated large Christmas tree. It will have a canopy covering it to protect it from the rain and plastic curtains for use in case of bad winds and storms. Pilgrims, tourists and Romans traditionally flock to the square during Christmas to see the Nativity scene. It will remain there until January 7.